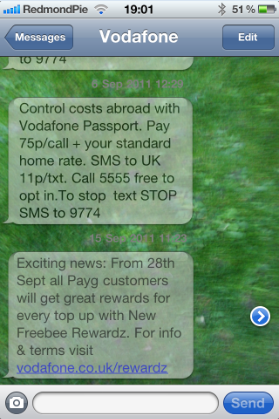 There’s not exactly a shortage of tweaks which can be applied to alter and enhance the SMS experience on an iPhone. Remembering that the device is also occasionally used for calling and texting along with the endless array of other functions, the developers have really widened the rather limited set of options provided by Apple in the stock SMS app. BeyondSMS is the latest effort to bring an extra dimension or two by providing options essential to many. Created by developer Tyler Calderone, it allows you to hide and lock conversations, which is particularly useful if you live with some, let’s say, inquisitive people. In addition, you can add a passcode to your SMS app entirely, adjust the opacity of the speech bubbles, and the one you’ve all been waiting for – turn text into emoji! Another feature present is the ability to see through the lens of the camera whilst texting. One would presume so that this has been put in place so users can see where they’re walking as they’re sending a text. Such an element has been present in apps before it, and although it’s a nice idea in theory, in practice, it tends to be a lack of concentration rather than obscured vision from the iPhone’s (almost non-existent) bulk that causes people to crash into road signs! As a heads-up, if you’re seeking a more extensive feature set, you may want to consider BiteSMS, which essentially shows the boys of Cupertino how a messaging app should really function. It is streets ahead of the competition with features such as quick send & quick reply (send a message whilst in any app, without having to leave said app), and my personal favorite – scheduled SMS, which means you can get those “chore” texts out of the way for birthdays and the like at a time to suit you. BeyondSMS retails at $.99 for the first week only before doubling thereafter, so if the features entice, then head over to the BigBoss repository and get it while it’s hot (and cheap!). 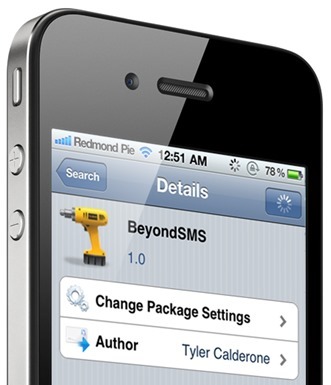 In order to use BeyondSMS, you will of course need a jailbroken iPhone, iPod touch or iPad. You can follow our step by step guide posted here to jailbreak your iPhone, iPad or iPod touch on iOS 4.3.5 using Redsn0w (or PwnageTool), or on iOS 4.3.3 usingRedsn0w, PwnageTool, Sn0wbreeze & JailbreakMe (that last one being the easiest). Make sure you check out our iPhone Apps Gallery and iPad Apps Gallery to explore more apps for your iPhone, iPad and iPod Touch. Everyone! I believe the fastestiphone սոⅼοсking service on the web is just google atttiphoneeuunloockiing. we are able to սոⅼοсking the phones that is bared or bl0cked via the carrier.